I don’t think many journalists ever interviewed Pete Sheehy, but I was among the few who did. 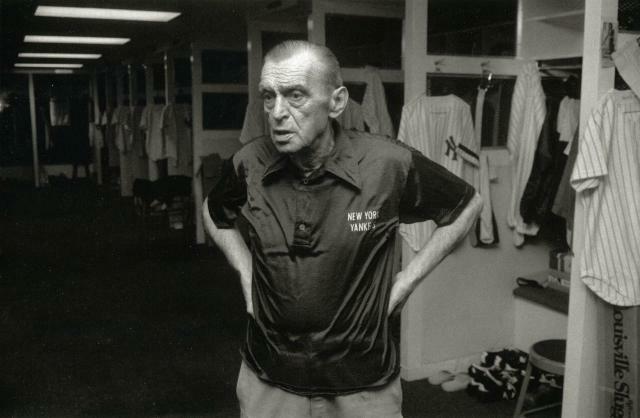 Pete, who was the clubhouse man at Yankee Stadium for about seven decades, didn’t like to talk, and I suppose that accounts for the fact that he made only rare appearances in print. I arranged an interview through a mutual friend, and I wasn’t with Pete for very long before I realized what a challenge I had taken on. In fact, Pete was forthright about it — in his way. He told me that he figured he had kept his job for so long, being in the confidence of members of the Yankees and, for a time, the football New York Giants, because he knew how to keep his mouth shut. Whatever he knew about Babe Ruth, Billy Martin, and Mickey Mantle, he kept it to himself. He didn’t have to say any more. “Joe” meant DiMaggio, and his choice didn’t surprise me. My father had been a Yankee fan since the Ruth era, too, and although I never asked him, I am confident that he would have said “Joe” too — despite a reverence for Lou Gehrig. 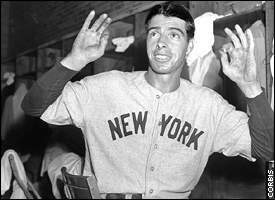 DiMaggio had an outstanding career. He was among the very best hitters, baserunners, and outfielders of his time or any time. Not the very best, necessarily, but one of the best. As Kostya Kennedy mentions in his book, 56: Joe DiMaggio and the Last Magic Number in Sports, a poll taken in 1969 named DiMaggio the “greatest living baseball player.” DiMaggio believed it; he was that kind of a guy. But there were skeptics who noted, for instance, that Ted Williams, DiMaggio’s contemporary, outstripped the Yankee in every major hitting category and had a longer career, despite combat duty tours in two wars. 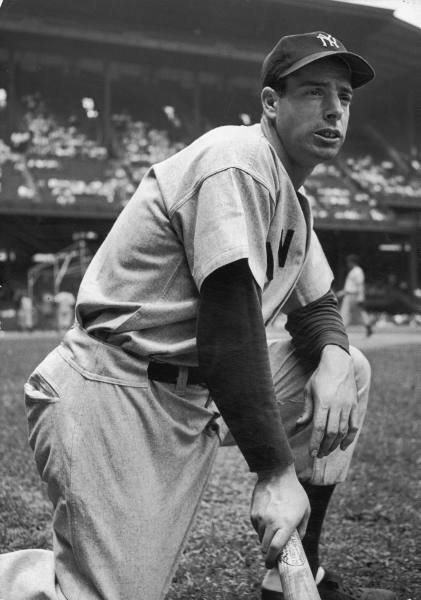 If there is an inequity in the way DiMaggio is regarded, it may be attributed at least in part to the fact that he played for the New York Yankees while they were the preeminent team in baseball if not in sports in general. 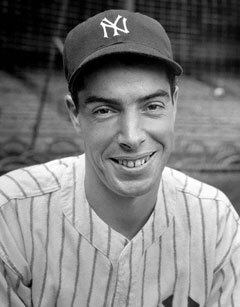 DiMaggio appeared in 10 World Series in his 13 years in the majors. But the primary reason for the aura around Joe DiMaggio may be the record he set 60 years ago this season — the record that was the occasion for Kennedy’s book. 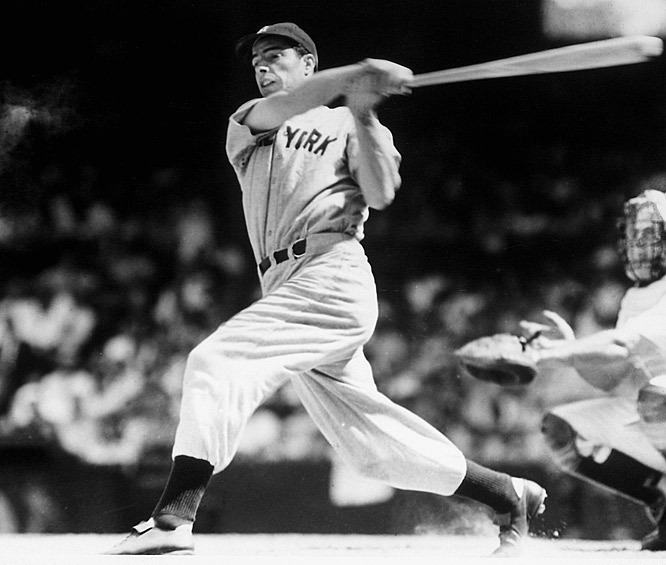 In the 1941 campaign, DiMaggio got a base hit in 56 consecutive games. The subtitle of Kennedy’s book refers to the fact that while DiMaggio’s record once formed a holy trinity with Babe Ruth’s single-season and lifetime home run records, Ruth’s marks have been exceeded several times and in some cases under questionable circumstances. 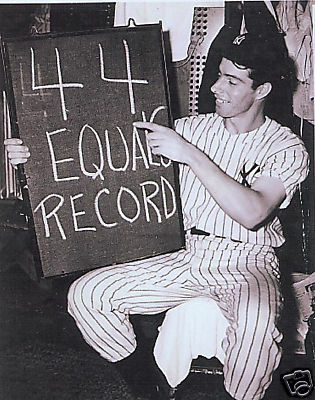 DiMaggio’s 56 is the only individual record of its kind still standing. And, as Kennedy artfully shows, this didn’t happen in a vacuum. In 1941, there was something far more ponderous on people’s minds — the increasing aggression of Nazi Germany. The idea that the United States could stay out of the war seemed more and more like wishful thinking as American plants turned out material to assist the European allies and as more and more American men were drafted into military service. DiMaggio’s streak was a fortuitous respite in such an atmosphere — the counterpart, in a way, to Susan Boyle’s triumph on Britain’s Got Talent in the midst of worldwide recession and seemingly pointless wars. The streak served another purpose, too. It was something for Italian-Americans to cling with pride as they — thanks to Benito Mussolini — came under the same kind of suspicion that was being directed at Americans of Japanese and German background. Even at that, DiMaggio’s own father, Giuseppe, who had made his living as a commercial fisherman, was placed under wartime restrictions that kept him from approaching San Francisco Bay. In telling this story, Kennedy carefully constructs a portrait of DiMaggio that isn’t at all endearing. DiMaggio was a cold fish. He was known from his youth for his spells of silence. Kennedy writes a lot about DiMaggio’s relationship with his first wife, movie actress Dorothy Arnold, and that isn’t a happy tale. 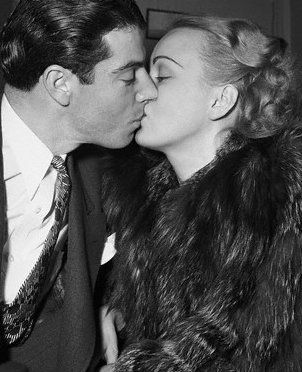 DiMaggio — in spite of the girls he invited to his hotel rooms — missed Dorothy when he was on the road. But when he was home, he stifled her, resented her, and often subjected her to his emotional and sometimes his physical absence. This book is peppered with the interesting characters who played large and small parts in DiMaggio’s life — his relatives, including his major league brothers, Don and Vince; his somewhat “connected” Italian-American friends in Newark; his fans — not the least of whom were the boys Mario Cuomo and Gay Talese; and, of course, his fellow ballplayers: Gehrig, Phil Rizzuto, and DiMaggio’s wacky road-trip roommate, Lefty Gomez.